Carl De Keyzer is a globally-renowned Belgian photographer and agent for Magnum Photos. De Keyzer’s 60 large-scale color images give unprecedented insight into daily life in communist North Korea and Cuba. The exhibition will be installed across both the School of Art’s Fine Arts Gallery and the Mason Hall Atrium Gallery. De Keyzer’s Cuba, La Lucha series was made in 2014 shortly after former President Barack Obama’s call for relaxation of the communist island’s 56-year embargo by the United States. This series–simultaneously documentary and conceptual–explores Cuba’s transition from a communist to a capitalist regime and its citizen’ struggles to survive. Views of crumbling buildings recall the splendour of a bygone pre-communist era, the power of survival on minimal resources, as well as an ambitious population ready to open a new chapter in their history. The exhibition captures the ambivalence of a changing country, torn between the desire to both preserve its traditions and improve its economy. The photographer seizes images of a population in a deep identity conflict, divided by the lure of dazzling economic growth and fear of capitalist excesses. 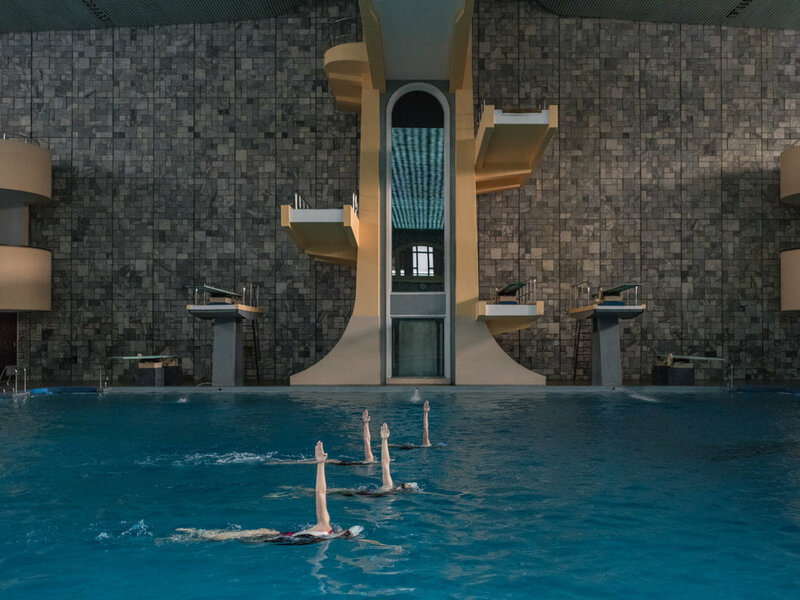 De Keyzer’s North Korean series, made over a six-week period in 2015, was arranged by Koryo Group, a British tour-operator that facilitates access to the world’s last remaining communist dictatorship. Alongside local Korean guides, De Keyzer traveled throughout all of the country’s provinces documenting the state’s pervasive propaganda system that rigidly controls the daily life of its citizens. No other photographer has had this level of access in North Korea. Carl De Keyzer, internationally renowned Belgian photographer, was born in 1958. He began his career as a freelance photographer in 1982, while teaching photography at the Royal Academy of Fine Arts in Ghent. He has been a full member of the prestigious Magnum Photo agency since 1994. Many books have been published about his work, which has been acquired by numerous important collections, such as those of the Bibliothèque Nationale de France in Paris, the International Center of Photography in New York and the Victoria and Albert Museum in London. Resulting from numerous photographic research projects throughout the world, Carl De Keyzer has been the recipient of 17 important international awards, including the Hasselblad Award Belgium (1986), the Grand Prize of the International Triennial of Photography in Fribourg (1988), Les Rencontres d’Arles Book Award (1990), the W. Eugene Smith Award (1990), and the Kodak Critics’ Award (1992). More information: http://www.carldekeyzer.com. Special thanks to Jack Rasmussen at American University Museum and Roberto Polo Gallery for making this exhibition available.